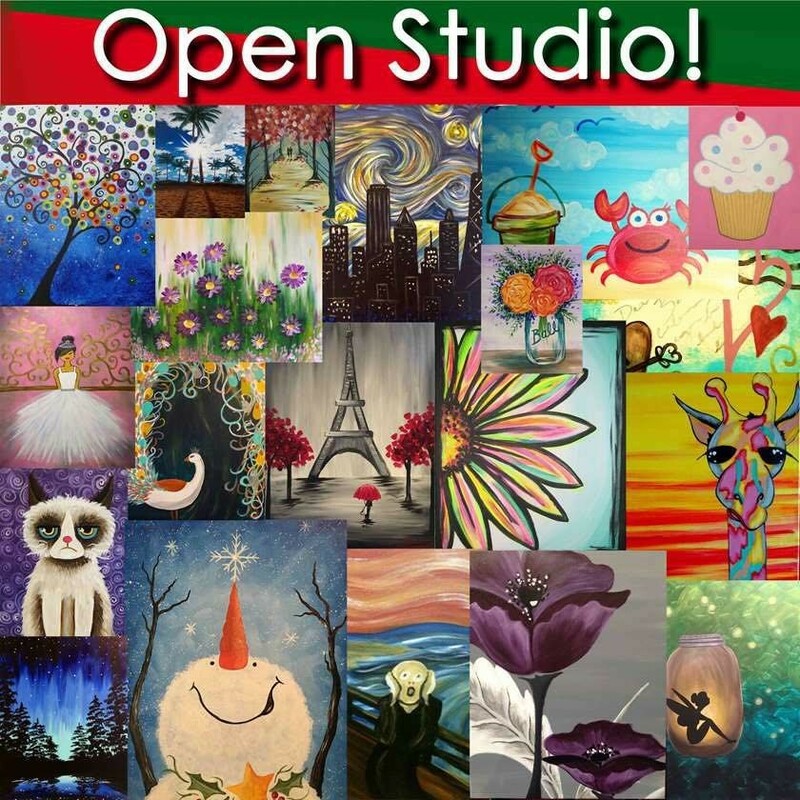 Come in at any point during this 4 hour open studio session. Get creative and paint whatever you want...or you can use our SELF-GUIDED instructions to create your masterpiece. 8x10 canvas is $15 or go bigger 16X20 canvas for $25. ***Cancellation Policy: Due to the custom nature of ALL of our classes, NO REFUNDS will be issued for reservations! However, if you cancel with at least 48 hours’ notice (14 business days’ notice is required for cancellation of private event reservations) your payment will be turned into a store credit that can ONLY be used for a future class. Please email us at northshore@pinotspalette.com to cancel. If you no-show for a class that you have a spot reserved, or don't give at least 48 hours’ notice, you forfeit your reservation payment. By completing the check-out process, you agree to this policy.